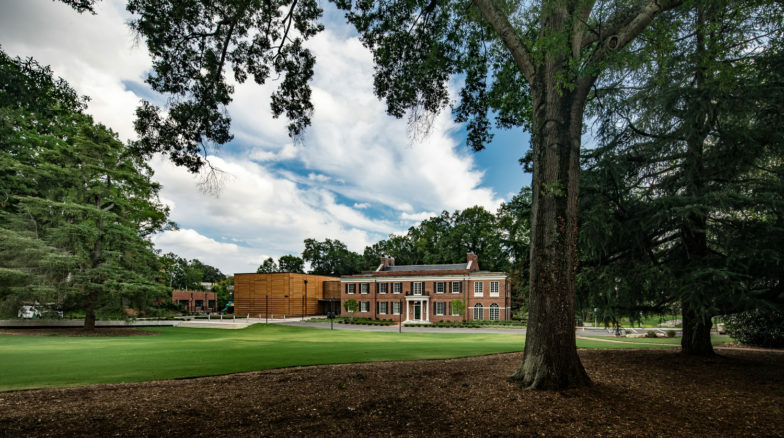 North Carolina State University’s Gregg Museum of Art and Design relocated from the Talley Student Center to the former Chancellor’s Residence, enabling the University to share the site’s architectural and landscape resources with the greater Raleigh community. 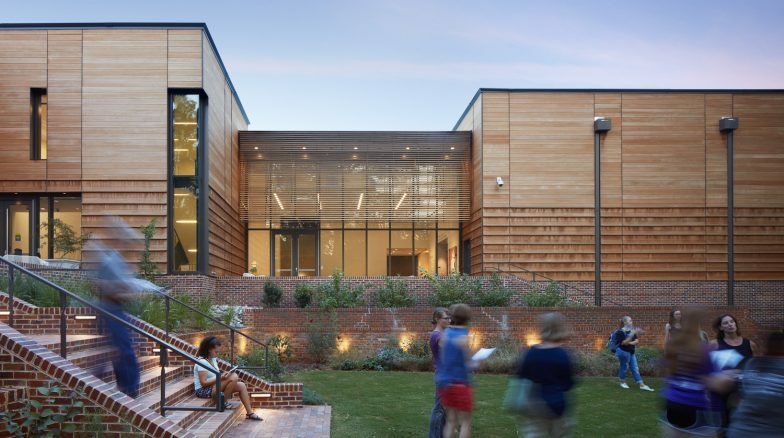 Surface 678 worked alongside Perkins + Will to create a usable space for both NC State and the larger downtown community. 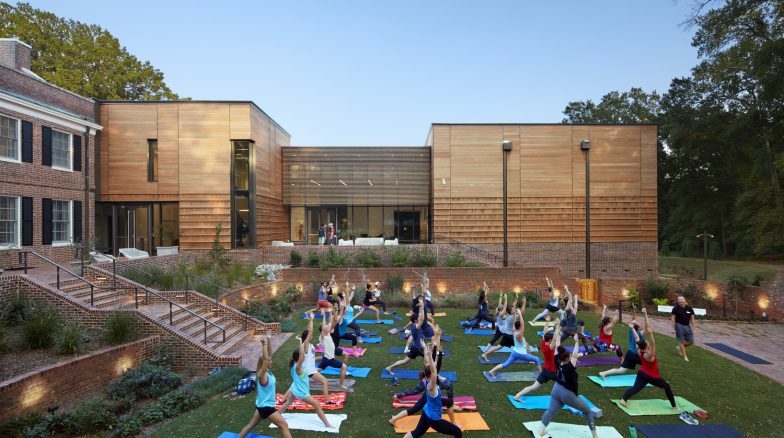 Surface 678 worked on site design for all exterior spaces, including patios, entry plaza, woodland garden, parking, pedestrian connections between both Pullen Arts Center and Hillsborough Street, service access and flexible event spaces. 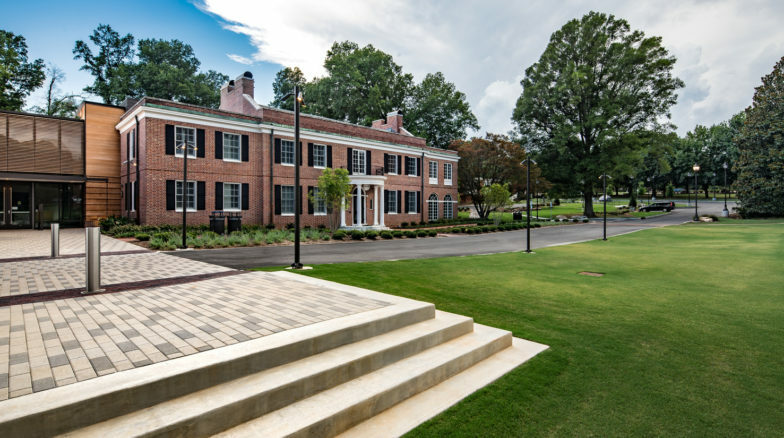 Removable bollards transform the front entrance and plaza into an event space with an outdoor stage and lawn seating area catering to varying event sizes. 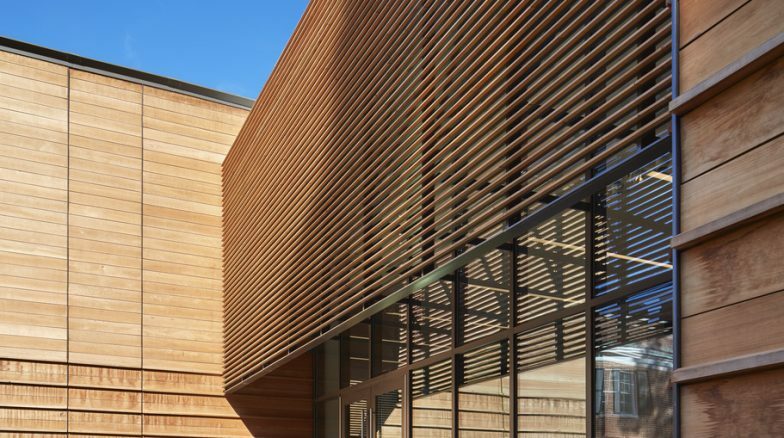 Expanded parking shared with nearby Theater in the Park and Pullen Arts Center combined with the arts plaza are shaping a new cultural destination drawing regional visitors. 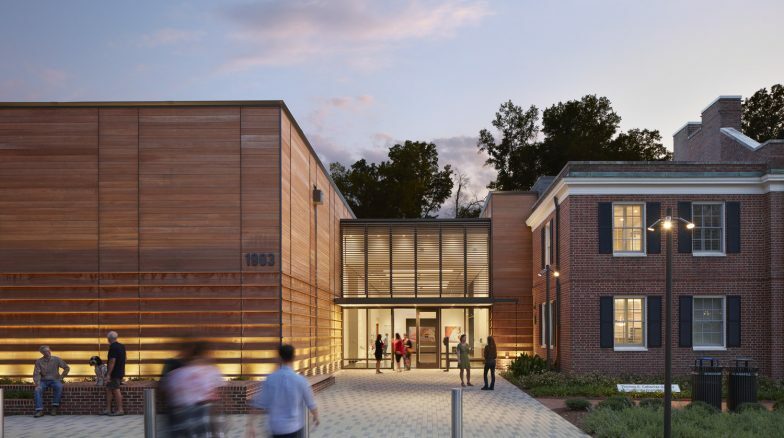 The raised back terrace provides a level entryway to both the new and old building, serving as an intimate gathering space for smaller events. 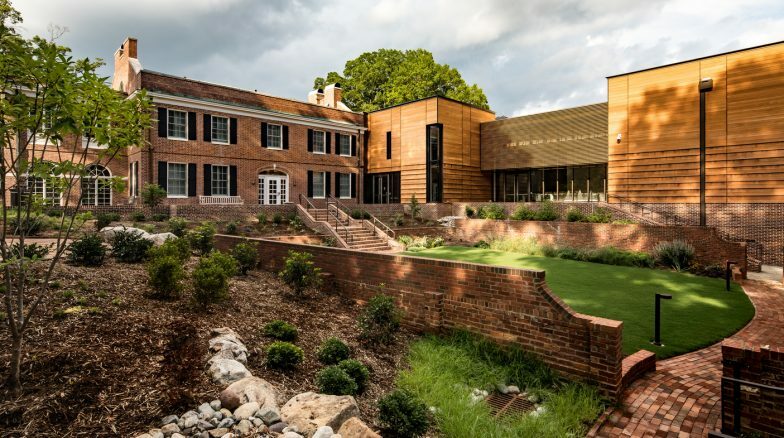 With a planting palette that includes native and adapted vegetation, the landscape is designed for flexibility. The garden boasts of spaces for sculptures and outdoor artwork and natural boulder seating elements. 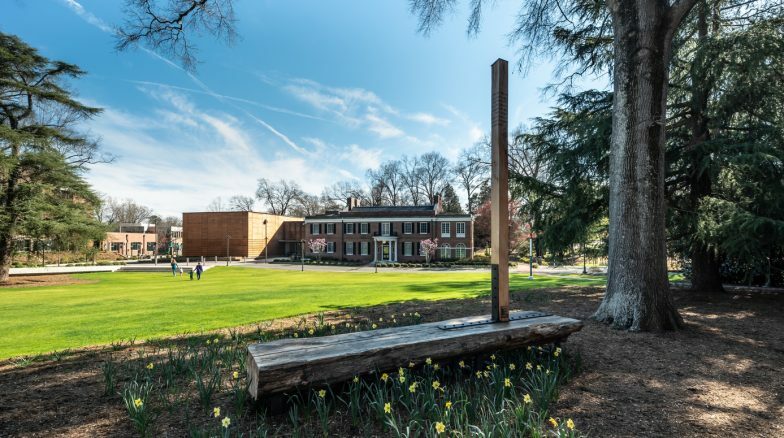 Surface 678 worked closely with the university and other consultants to preserve existing trees on site, revering and repurposing two felled oaks for commissioned environmental art.